Placing client relationships above all else continues to be a key ingredient for success for Broker Sales Associate Carole "Lynn" Brescia. Backed by over 40 years of real estate experience, Lynn has earned numerous industry awards and accolades since 1983. Having joined the Wyckoff office of Coldwell Banker Residential Brokerage in 1984, she has gone on to be recognized as the top agent there every single year since. A perennial recipient of the NJAR Circle of Excellence Sales Award, Lynn's achievements have included Gold Level status from 1987- 2002 and the coveted Platinum Level from 2002-2009, 2011-2013. She has consistently held Top 10 status throughout New Jersey and across the country for Coldwell Banker Residential Brokerage since 1985 and she is a current member of the company's International President's Elite, an honor which places her among the Top 1% of the company's agents worldwide. 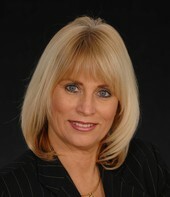 Lynn is also a “Previews" Specialist and holds the prestigious Graduate, REALTOR® Institute designation. New Jersey Million Dollar Platinum Club Level 2002-2009, 2011-2013.
company's vision for dedication to customer service, respect, and professionalism. Sales Associate of the Month every month in 2012. $138 Million Dollars in sales from 2008-2012. Coldwell Banker was founded in 1906 after the total devastation of the San Francisco earthquake and fire left an urgent need for honest, knowledgeable real estate services to rebuild the city. Over 100 years later, the company continues to commit itself to upholding the very same principles responsible for creating such a strong foundation. The Coldwell Banker Tradition continues to foster an environment attracting and retaining the industry's most talented and accomplished professionals. 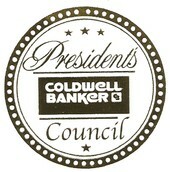 The many successes of our elite members awarded with the President's Council recognition are achieved with upholding Coldwell Banker's integrity expressed in commitment to clients and customers, commitment to professionalism and commitment to the utmost excellence. Jim and his wife were very impressed by your hard work and dedication throughout the entire sale process. According to the Ritchie's, you conducted yourself in a professional, gracious and responsible manner at all times. They were also pleased that you had so many contacts with various tradesmen which saved them time and money in the long-run. Thank you for your caring service and for representing Coldwell Banker so very well. We are very fortunate to have you on our team. We did not anticipate any of the "glitches" or "speedbumps" that happened to occur during the course of the transaction, and we would have been lost without you. Your knowledge, expertise and professionalism in handling all of the matters that were thrown our way was simply incredible. Your network of professional contacts was invaluable in the time, and cost, it saved us (not to mention the stress, too!). Lynn, probably the most important aspect you blessed us with was in your genuine and sincere concern for us. In as much as we realized it was a "client/professional" relationship, we felt that you were continually looking out for us as close friends. You made us feel that we were your only clients, and that we could seek you out on a moment's notice -which we did, often, and to which you responded immediately. We deeply thank you for that. We're getting settled in our new home now, and we invite you to visit us whenever you can! My family just moved into our house in Wyckoff and wanted to thank you once again for recommending that we reach out to Lynn Brescia to help us in our search. Lynn's incredible professionalism, passion and support during our home buying process gave true meaning to the phrase "Full Service Real Estate Agent". While the home search itself was relatively easy, our home buying transaction was, by many accounts, one of the most difficult in the recent memory of the local Coldwell Banker office, as the sellers were going through a divorce, actually declared bankruptcy around the time that our offer was accepted, and left unresolved tax issues on the property that had to be addressed. I sincerely believe that without Lynn representing and counseling us, we would not have completed this transaction and be enjoying our new home. Following what I would consider a series of highly successful transactions, I felt the need to express my gratitude and appreciation for the outstanding service you provided on both the purchase of our new home and the sale of our former home. I have very rarely come across a person with your level of effectiveness and professionalism. Considering that I have been in the real estate services industry for nearly twenty years on the commercial side, I hope you take this complement with the gravity with which it was intended. On the purchase, you had a keen understanding of what we were looking for in a new home and did not waste our time showing us everything that became available. Furthermore, on those homes you did show my wife and me, we never felt as though you were trying to force them on us. When the right property did become available, your advice on positioning the offer was invaluable in enabling us to garner the house we wanted at a favorable price. When it came time to sell our former home, I admired your honesty regarding the pricing and was impressed that you were unafraid to ask your colleagues to tour the house to come to a consensus on an effective asking price. I strongly sensed that those Realtors who brought potential buyers to the house that weekend (and there were many) gave the listing a stronger look because it had your name attached to it. That tells me your opinions are highly regarded in the regional Realtor community and that a listing with you brings with it a unique benefit to the seller. When we had an offer two days after the house was listed for well above me asking price with no sale or mortgage contingencies, 1 knew we had chosen the right Realtor. I'll also add that the price paid for our house was the highest in that neighborhood -ever or since. Feel free to show this letter and to give my name and contact information to prospective clients. Thank you again, Lynn, for a job remarkably well done.